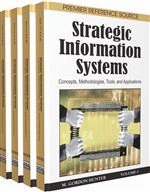 Inter-Organizational Information Systems and Strategic Alliances: Symbiosis or Competition? In this chapter we analyze the relationships between the structures of inter-organizational information systems (IOS) and strategic alliances. The relationships between both structures tends to be framed within a collaborative dynamic in which the IOS serves the objectives of the alliance, thereby reinforcing the links that bind the alliance members together. However, in this chapter we also suggest that there may be a noncollaborative— that is, competitive—relationship between the IOS and the strategic alliance, especially when both structures compete for firms from the same sector and geographical area. To test our hypotheses we have analyzed a sample of 162 firms belonging to the agro-food sector in Spain.